Housy Smallmouth Report: White flies on the wane? I fished from 5:30pm to 9:00pm. The hatch was decent enough, but nowhere near the numbers I saw last Thursday. Here are some of the lessons I’m learning. Spot A was an area I’ve never fished before, below the 4/7 concrete bridge. A big, gnarly riffle that dumps into deep pool, then an even deeper pool, before transitioning into a placid run. I was disappointed to hook only one bass. I can’t imagine that there aren’t a lot of fish living in that stretch. Spot B was within the TMA. I tossed my TeQueely into some frog water on the edge of a riffle. The bass slammed into the fly the moment it penetrated the surface membrane. Best hit of the year, any species. Always investigate that transition water between current and frog. Think a Housy smallmouth might like a white fly soft hackle like this? (Size 10 hook, cream hackle, fibers, and white Pearsall’s.) You betcha. Trout, too. 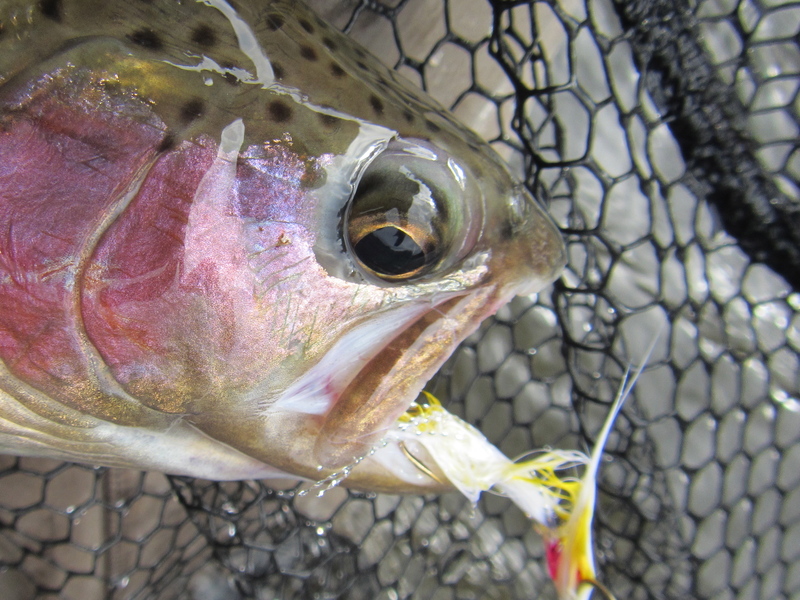 I took a pretty foot-long brown on this fly (no picture — quick landing and release), as well as numerous bass. 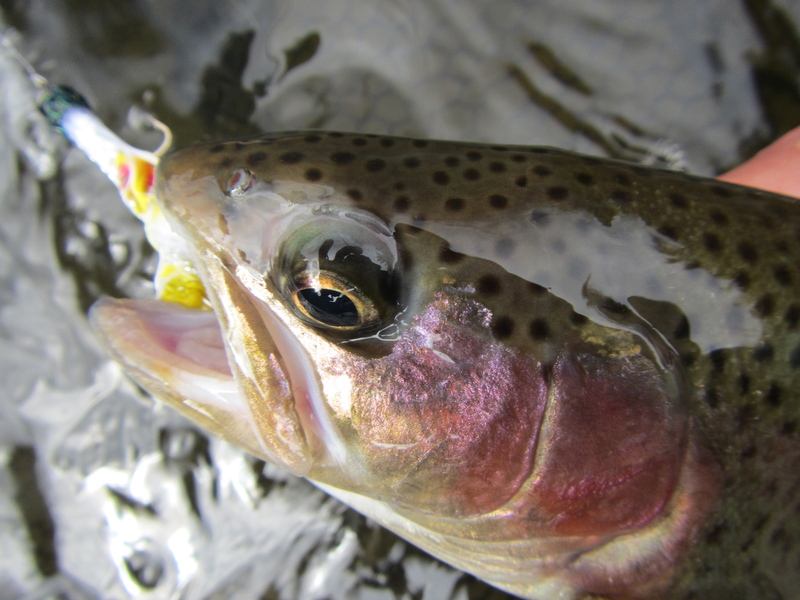 Fishing a team of wet flies pre-hatch is sound in practice, but it can get problematic with smallies. I was fishing a team of two and had to cut one fly off due to excessive doubles. Same problem with the soft hackle I had dropped off my White Wulff and Convertible dries: too many doubles. I know, life’s tough. White flies get all the juice, but let’s not neglect their smaller photo-negative, the black caddis. Swarms of these flies everywhere. I even took a dozen home with me in my Jeep. Going to tie up some Black Magic soft hackles, about a 14-16. Last year, the bass would attack a streamer even if they were feeding on something small on the surface, and especially as dusk made its way toward night. Not so this year during the white fly hatch. So maybe smallmouth are more trout-like than I give them credit for. I was targeting one bigger fish that kept rising in some shallows — I got him to bump the streamer, but it was at best a half-hearted attempt. This dude came to net on a White Wulff size 12.